Car interior 360s require an absolutely flawless finish, a perfect representation of the vehicle. The car must be pin-sharp and perfectly focussed on details just centimetres from the camera as well as several feet away. The viewer should feel like the detail is so clear they could almost reach out and touch it. That they can almost feel the textures in the car interior, from leather to brushed aluminium. The chance to use our skills on a car like the Jaguar XE is a great compliment to us as a photography company. We shot the car in a studio in the UK, and we light it carefully to ensure an excellent finish when the backplate is retouched in. On this example a 360 backplate by Will Pearson was dropped in, showing the car in situ outside Broadcasting House in London. The interface offers the option for viewing this automotive 360 though Google Cardboard or a VR Headset for a more immersive viewing experience. Please click the ‘Launch Project’ button and go fullscreen. 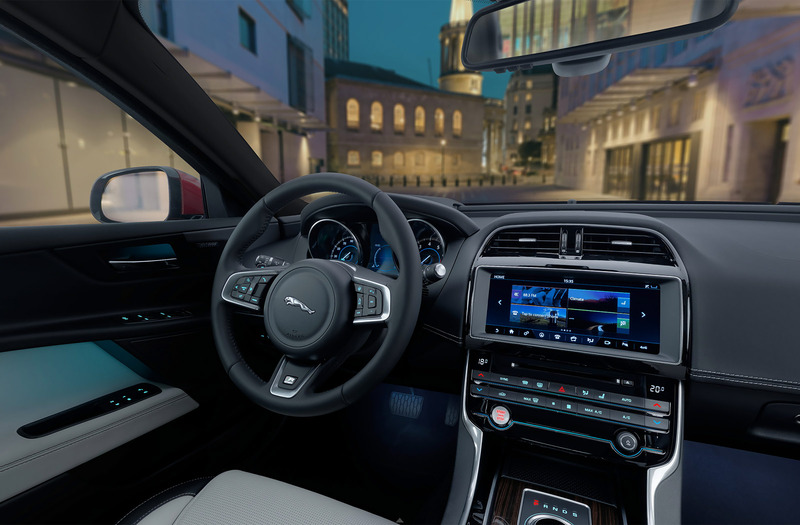 You will be able to use the buttons to zoom in and out and explore all around the Jaguar XE car interior 360.